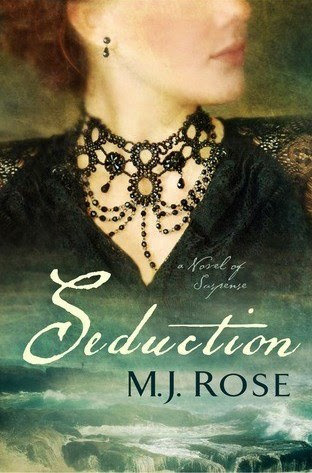 M.J. Rose continues to feed my fascination with reincarnation and history in this the fifth book in the Reincarnationist series. Combining the two once again into a novel that I think might be her best yet, Rose takes us this time into the world of seances. Victor Hugo, famed novelist of Les Miserables, among others, is a prominent character in Seduction. When he loses his daughter to drowning, ten years later he still finds that he has not moved past her loss. He begins participating in seances in the hope that he will speak to his daughter again and ends up communicating with a myriad of famous personas, including the Devil. In the book, he transcribes these communications nightly and his lost transcriptions are at the heart of the story. The quest to discover these communique with the dead is what leads protagonist Jac L'Etoile into a suspenseful situation. The shift from the present to the past and vice versa is an element that I have thoroughly enjoyed in books. However, not many write it as skillfully as Rose. The Reincarnationist series, and this book, are not only about the phenomenon of reincarnation. They are a thoughtful examination of how we human beings cope with loss and what we choose to believe about the after life. I think reincarnation is something that should be explored more extensively as a definite possibility. In writing these books, Rose is bringing reincarnation to the fore of people's minds, even if they do not believe, and I thank her for raising that awareness. M.J. Rose is the international best selling author of eleven novels and two non-fiction books on marketing. 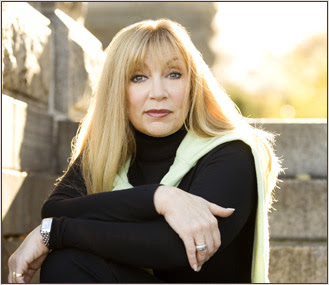 Her fiction and non-fiction has appeared in many magazines and reviews including Oprah Magazine. She has been featured in the New York Times, Newsweek, Time, USA Today and on the Today Show, and NPR radio. Rose graduated from Syracuse University, spent the '80s in advertising, has a commercial in the Museum of Modern Art in NYC and since 2005 has run the first marketing company for authors - Authorbuzz.com. The television series PAST LIFE, was based on Rose's novels in the Renincarnationist series. She is one of the founding board members of International Thriller Writers and runs the blog- Buzz, Balls & Hype. She is also the co-founder of Peroozal.com and BookTrib.com. For more information on M.J. Rose and her novels, please visit her WEBSITE. You can also find her on Facebook and Twitter.